Click the button below to add the 4" Starter Set for Orchids to your wish list. Transferring orchids to Hydroponics is easy and almost any plant can be converted. 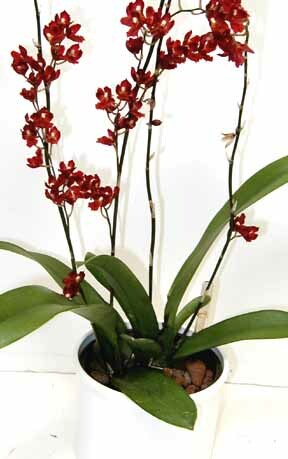 Cattleya, Phalaenopsis, Paphiopedilum, Oncidium, Dendrobium - they all love our system! This 4" STARTER SET has everything you'll need to convert 2 plants to Hydroponics. Step by step instructions will guide you through the process. In most cases, we suggest choosing a hydro pot that's the same size or even slighty smaller than the existing grow pot. Smaller grow pots encourage a quicker wet/dry cycle which is vital for healthy root growth. Technically, the size of the root ball determines the size hydro pot. 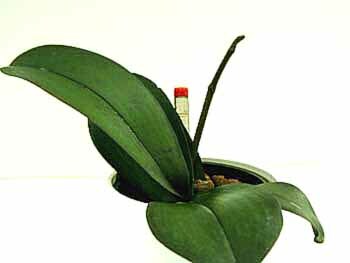 So if your orchid is a vigorous grower and it's bursting from its pot, go ahead and use a hydro pot that you think will best fit the root system. For example, all those Phalaenopsis orchids that you see in stores, growing in 4" plastic pots and spaghnum moss, can be moved into a 5" hydro pot. They're usually large plants with well developed root systems and would be too crowded in a 4" hydro planter. Want to transfer more than two plants? You don't need to buy multiple Starter Sets. Purchase one Starter Set and then add extra Hydroponic Planters in the size you want. Our Starter Sets have plenty of the "extra stuff (Rooting Concentrate, Starter Nutrients, etc.) for additional plants.